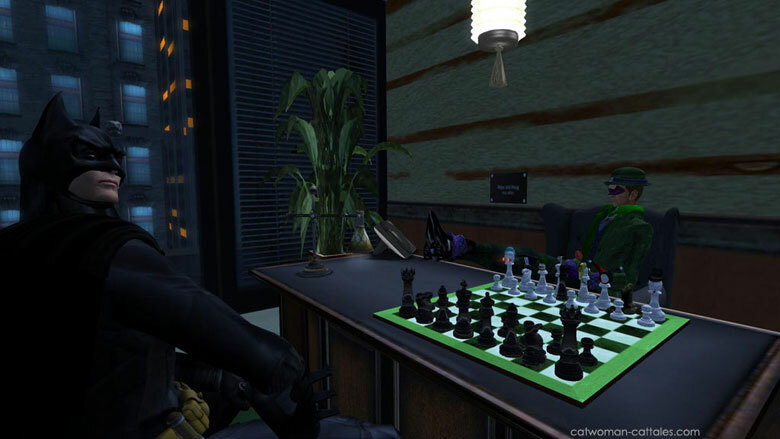 Imagine you walked in on Batman and Riddler playing chess. This picture is set in the Repo and Houg Lair from The Gotham Rogues, and it obviously includes the chess set, but it isn’t meant to reproduce a specific scene from the tales. The reason for that is Batman’s expression. It’s so perfectly Bat, and so clearly an annoyed ‘Can I help you?’ that I couldn’t not use it, nor could I bash it to fit an existing CT scene. And so, an untold moment. At least once, Bruce and Eddie got together for a game. Pawn to King 4.